The air pollution has become a global public health issue and is identified as one of the major environmental health hazards. Since the introduction of Air (Prevention and Control of Pollution) Act, 1981, various pollution control programs have been focusing on controlling air pollution in India; however, more efforts are needed to tackle the rising levels of air pollution in many cities of our country. Many of our cities are declared by WHO as one of the most air polluting cities of the world. If we do not act now, it will be too late and the lives of the hundreds of thousands of citizens will be in great danger. 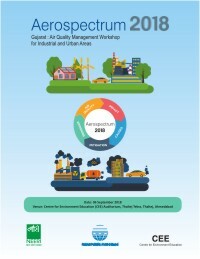 To address this matter and draw the methodology to mitigate air pollution in industrial and urban areas, GPCB, NEERI, Nagpur and CEE, Ahmedabad are jointly organizing a one day workshop on "Gujarat: Air Quality Management Workshop on for Industrial and Urban areas" as per the MoU signed between them. Eminent and highly proficient experts from DoEF-GOG, CPCB, NEERI, IIT, GPCB, CEE and AMC are going to address key aspects of air pollution abatement technologies to the participants. This can act as a role model to other cities in the country. Minimization of Fly Ash emission and mercury from thermal power plants DR. K. V George- Sr Principal Scientist, NEERI. Fuels and Air Quality Issues in Industrial, automobile and other sectors and new technologies for control of air pollution-Dr Nitin Labhsetwar-Sr Principal Scientist, NEERI. Air quality monitoring and advantages of NABL and MoEFCC accreditation-Dr B. Sengupta former MS-CPCB. Improving the present air pollution control system in industrial sector-Mr. M.A. Patil-Director, FICCI. Role of industries and regulatory bodies for air pollution control-Mr. B.R. Naidu ZO-CPCB Vadodara. The program is exceedingly useful for stakeholders like representatives Individual industries , Industrial associations, all common facility operators like all CETPs, CBWTFs, TSDFs, CHWIFs, MSW, pre-processing facilities, regulators such as local bodies, Pollution Control Boards, offices of the collectorates, policymakers such as representatives of Department of Environment of State Governments, academia and research institutes, technical students, NGOs, auditors and consultants and suppliers of air pollution control equipment. The experts would address the aspects of air pollution and mitigation measures from industrial sectors like cement, iron and steel, power, petrochemicals,refineries,textiles, dye and dye-intermediates, pulp and paper and such others. The registration fees for the programme is Rs 3500/- per participant. The fees include kit, training material, brochure, schedule, morning and evening breakfasts and lunch.